Fred Dickey Funeral & Cremation Services is a family-owned and operated funeral chapel. That means we are your neighbors, and, like you, part of the Laredo community. We are bilingual and bicultural, so we not only speak Spanish, we completely understand the faith and funeral traditions of Mexico and Latin America. It is our mission to honor God by serving you with the highest level of compassion, attention, and respect. No matter what the request, we will do whatever it takes, whenever is needed, to help you pay tribute to your loved one and begin the process of healing. The heritage of our funeral chapel is almost as old as Laredo itself. 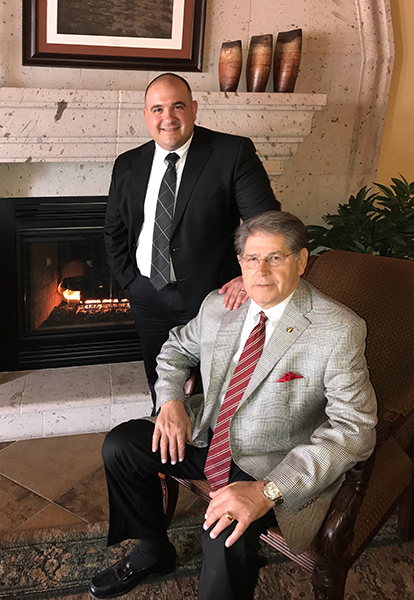 Today, our family firm is under the management of Fred Dickey, Jr., his wife Sadie, and their son, Fred Dickey III, a lifelong Laredo native who represents the next generation of our service tradition. Now in our third century of operation, we honor our heritage by providing you complete funeral services to the very highest standards of excellence. We provide personalization options and services to suit your needs and make lasting memories. Call us any time to find out how our family can help yours.